Dr. Wm. 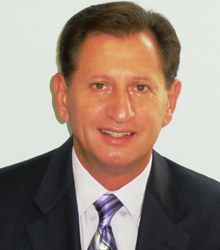 Joe Alfieri received his chiropractic degree in 1979 from Palmer College of Chiropractic in Davenport, Iowa. Palmer College, known as the fountainhead of chiropractic, is the largest and most modern chiropractic school in the world. With more than 40,000 alumni, it has set the standard in chiropractic excellence. Dr. Wm. Joe Alfieri practiced from 1979 to 1981 in South Haven, Michigan. In 1981 he moved to Portage, Michigan, where he has practiced for over 25 years. Dr. Alfieri’s goal has always been to create a practice capable of delivering care that is safe, effective, patient-centered, and personal.